The Australians have had Nissan Skylines/GT-R's sold there off an on since the 1960's. R32 GT-R's were officially sold in limited numbers, and raced in Australia in the early 90's. They did so well in racing that the car was eventually banned, with the crowd at Bathurst called a pack of arseholes by Jim Richards. Cars in Australia are right hand drive, and the government there has a program which allows for certain type importation. So over the years, even when the GT-R was not imported by Nissan, individuals imported their own. 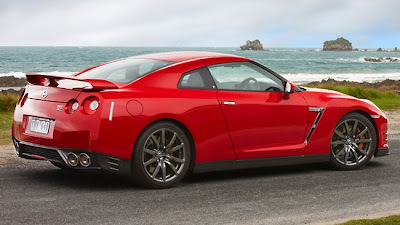 In the limited market (22 million people) of Australia, the Nissan GT-R is a popular car. 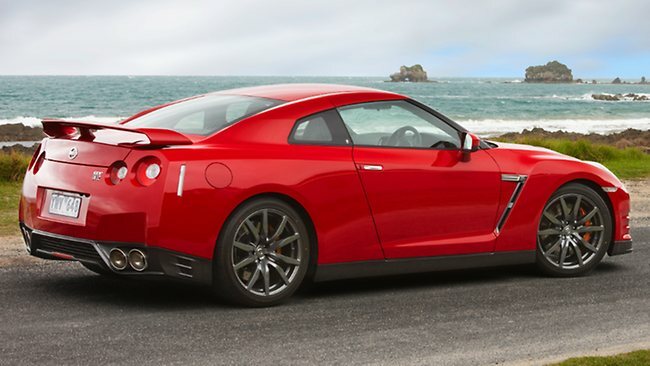 The 2012 Nissan GT-R in Australia comes in at $170,800 AUD ($176,914 at current rates). The 404 kw(541 horsepower) specs line up closest to what we call the 2013 Nissan GT-R in the US. Australians get the privilege of paying about 70% more for the same car than the US market. Since they started taking pre-orders in October 2008, Nissan Australia has sold about 420 cars. Closest I can find to official sales numbers. The price has gone up $2000 for the 2012 model-year GT-R, so it starts at $170,800, still half the price of rivals with this performance potential. The outgoing R35 incarnation of the GT-R has more than 420 examples on Australian roads - and more than 20,000 have sold worldwide since the model's launch in late 2007. ** VERDICT Nissan's supercar remains the best value performance machine around. Something of German or Italian heritage that can keep up with this Japanese mutant would be more than twice the price. Even at $170,800 its a good value for the money in Australia compared to offerings from Ferrari or Porsche.